US-based Hyperloop Transportation Technologies (HTT) has announced that its superfast transportation project has entered the production phase. 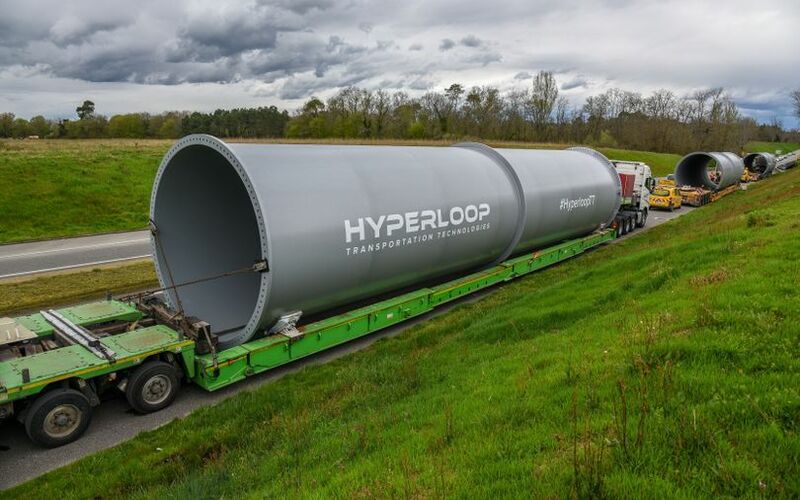 The company said in a statement that the first set of tubes, designed to move both passengers and freight, has been delivered to its research and development centre in Toulouse, France. "The first phase includes a closed 320-meter system that will be operational this year," HTT said. It added that a second full-scale system of 1-km will be completed by next year. Both systems are upgradeable and will be used by both HTT as well as partner companies. Drawn up as a concept by Tesla founder Elon Musk in 2013, Hyperloop comprises a system of tubes through which a pod may travel free of air resistance or friction at high speeds. Simply put, it is a transport system where a hybrid, train-like object can travel at speeds of more than 1,000 kmph in a near-vacuum tunnel. HTT said the construction of a full-scale passenger capsule is close to completion and is scheduled to be delivered to its facility by the middle of this year for assembly and integration. "Hyperloop is no longer a concept; it has become a commercial industry,” said HTT Chairman Bibop Gresta. "We have agreements in place in nine countries where we’re working on feasibility and regulations." Founded in November 2013, HTT uses a crowd collaboration approach. Gresta had earlier said that his company uses a technology different from rival Hyperloop One and follows a greener approach. He also said that HTT used an aluminium track, and its capsule was combined with electromagnets in a way so as to work on low volumes of electricity. A ticket for a 500-km distance on HTT’s Hyperloop may cost under $30 (about Rs 2,000), Gresta had explained. Infrastructure costs, however, remain a concern. Gresta said that laying a kilometre of Hyperloop track would cost $20-40 million. The company is also planning to start hyperloop tracks in India. HTT previously said it had offers from five Indian states to start feasibility studies and initial work on building hyperloop projects. Apart from Andhra Pradesh, it is in talks with Tamil Nadu, Odisha and Jharkhand. Reports suggest that the company has roped in at least two Indian firms to build hyperloop projects, including vacuum tube maker Leybold and engineering company AECOM. In February, Richard Branson-backed Virgin Hyperloop One signed an agreement with the Maharashtra government to build a superfast transportation system that would cover the 150-km between Mumbai and Pune in 25 minutes. Los Angeles-based Hyperloop One, founded by Shervin Pishevar and Brogan BamBroganin, and led by CEO Rob Lloyd, entered India in January. Its executives met government officials to work out ways to implement hyperloop projects to link major cities. Hyperloop One earlier said that it has secured $160 million in funding, and is on its way to raise more capital.